Why Hire a Single-Source Contractor? We focus on one brand of windows—the ones we make! Other companies change manufacturers constantly according to whoever gives them “the best deal” or whoever is “still in business.” At Energy Swing Windows, we know our products inside and out. Most window companies are selling you windows that they bought from an out-of-town factory and were made by people they’ve never met, with quality processes that may or may not exist. 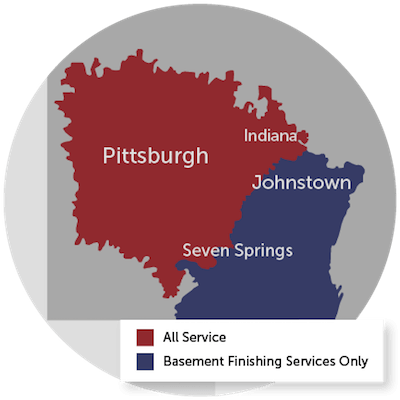 Our factory is right here in Murrysville, PA; you're welcome to come watch your windows being made if you want! Most companies outsource the installation to the lowest bidder. These subcontractors install all brands of windows for many companies and they get paid by the window, which means the faster they do it, the more money they make. Do they really have your best interest at heart? Do they even know what they’re doing? Maybe. Maybe not. If you ever have a problem with your windows, get ready for a finger-pointing nightmare. All of the involved parties will do their best to blame the other parties for the mistake. You’ll call the company you paid the money to, who will try to force you to locate the manufacturer or the subcontractor who installed it to deal with them. What a pain. And that’s assuming you can find somebody to do anything. 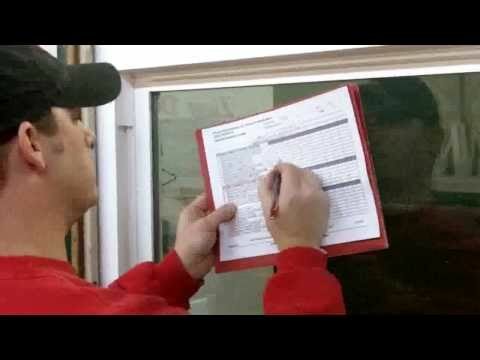 When you hire Energy Swing Windows to install your new windows, you'll know exactly what's being installed, who's installing it and how much it costs. If you ever have a problem with your Energy Swing windows, we're the ones you come to for help! "The quality of work is outstanding! I have purchased windows from Energy..."
"We already have your windows. Your service years after..."
We already have your windows. Your service years after purchase influenced our decision to buy from you again. The warranty and trust are reasons we’d recommend you. "Good quality, locally manufactured windows. The owner took the time to..."
Good quality, locally manufactured windows. The owner took the time to show us the manufacturing facility. No use of third-party contractors for installation. "Great product! Easy access for cleaning. Installers were efficient during..."
Great product! Easy access for cleaning. Installers were efficient during installation. "The rolling out of the red carpet and the removal of our old, ugly windows..."
The rolling out of the red carpet and the removal of our old, ugly windows (was most memorable). You provide a quality product with the kind of customer service and professionalism that more companies should be doing, and all employees make you feel like a name, not a number. "Very impressed with your product and people-you were referred by family..."
Very impressed with your product and people-you were referred by family members. By Rod & Pat D.
"These windows are the best-they are so easy to clean-it is just too hard..."
"I chose this company due to poor quality service from another company. I..."
I chose this company due to poor quality service from another company. I wanted a company that did not cut corners and stood behind its work. "Liked the technology for easy clean. No middle man. Company makes the..."
Liked the technology for easy clean. No middle man. Company makes the window. "I was so impressed that everything was so organized from start to finish..."
I was so impressed that everything was so organized from start to finish. Your company/employees were so thorough. (It's) so rare to encounter & you all listen! Thanks!